Artocarpus integrifolius, Artocarpus integrifolia, Artocarpus integra. 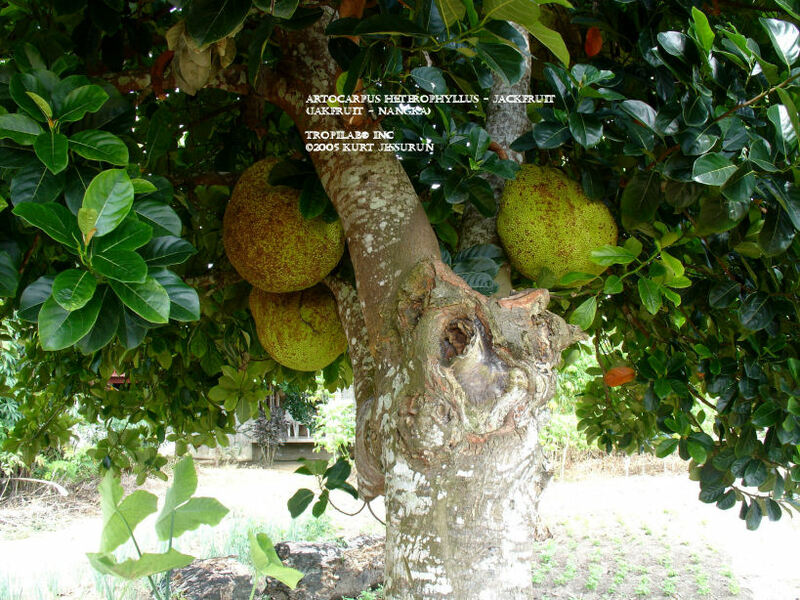 A stately tropical fruit tree, originally from South-east Asia; it is growing abundantly in Suriname; grows up to a height of 75 feet. Jackfruit is an evergreen with glossy leathery oblong leaves. Male and female flowers are on the same tree but separate. Nangka is monoecious, while the fruits are up to 3' long and 20" wide. The fruit can weight up to 60 pounds, sometimes even more and it contains from 100 - 500 oval seeds. The viability time of these seeds are short (no more then a month). The fruit of nangka is yellowish and is composed of hard cone-like points. 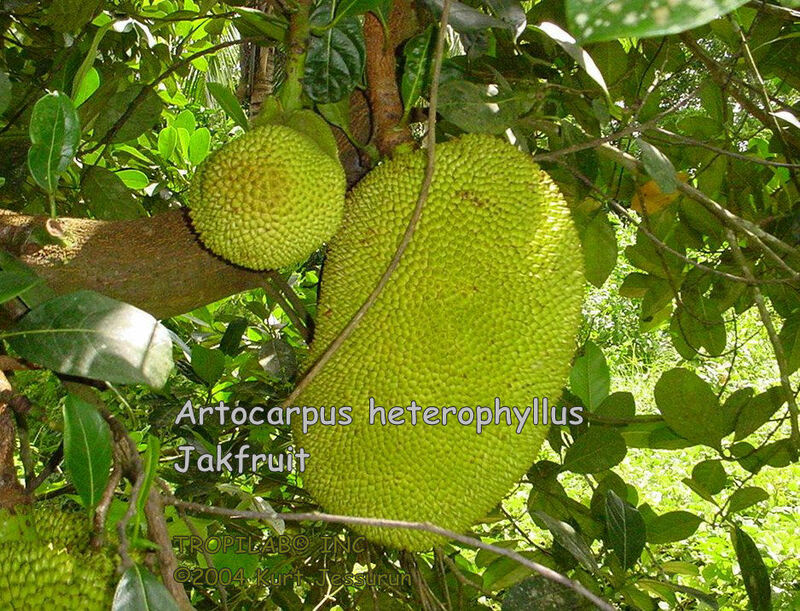 There are several cultivars of jackfruit. 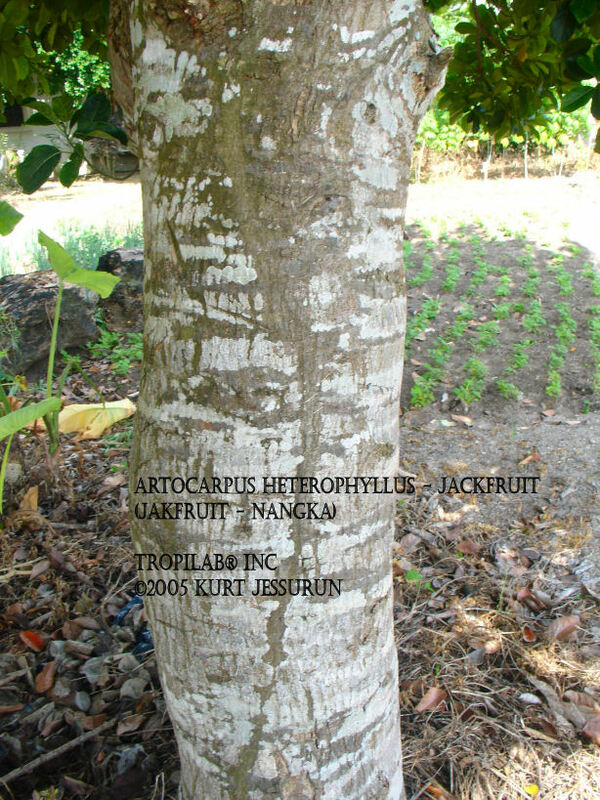 All parts of jackfruit contain a white latex. The taste is somewhere between banana and pine apple; there are two general types. 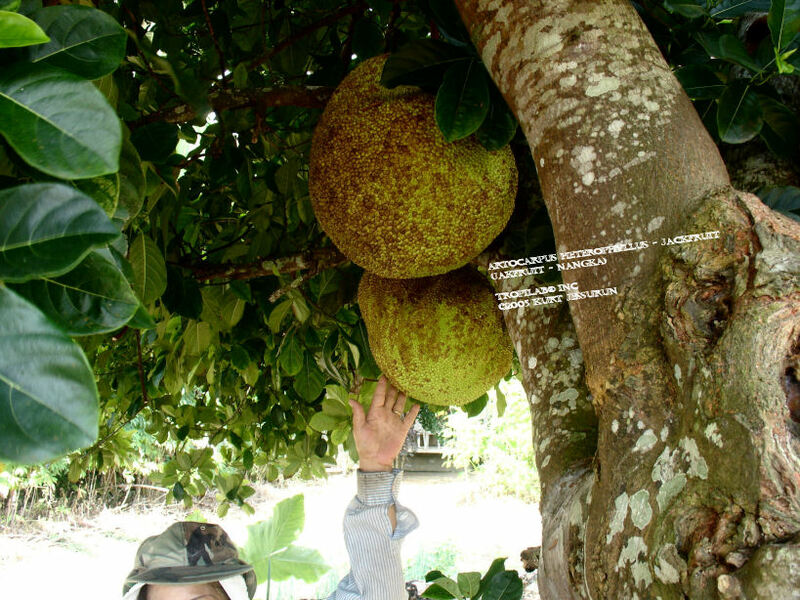 In China, the pulp of Nangka is considered useful in suppressing alcohol in the body. The roasted seeds are used as an aphrodisiac. Root extract is used for asthma, fever and diarrhea. The bark has sedative properties. Due to recalcitrant nature of the seeds, they have a short viable life, can not be dried well and can not withstand low temperatures. Full sun, rich well drained soil. Needs a lot of humidity and don't tolerate drought. Mature trees can withstand short spells of freezing weather. Small plant should be given complete protection outdoors.